I've been trying to come up with a fun, new Christ-centered Easter tradition I can do with my family. I love the idea of Resurrection eggs, so I decided that each Easter, I'll do a family home evening activity utilizing them. This family home evening would be more of an Easter tradition that I plan on doing Easter evening, starting tonight. 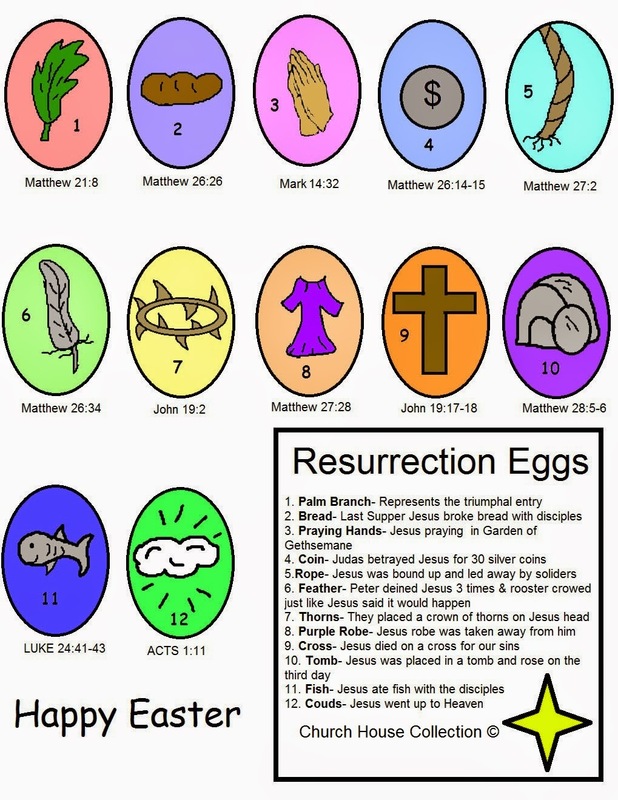 June likes paper eggs, so I found these adorable Resurrection egg printables on the blog Simply Homemaking. I printed them on card stock and on another sheet of paper, I printed pictures of the Easter story, taped them on the back, and numbered them. I then laminated the eggs so they would be more durable. I placed them, in order, as a path. Each time June picks one up, I will tell her how the picture on the back tells about Jesus. The last egg will lead her right to a Christ-centered Easter basket. The basket contains a The Beginner's Bible The Very First Easter, Finding Faith in Christ DVD, a picture of Jesus, and the scriptures. 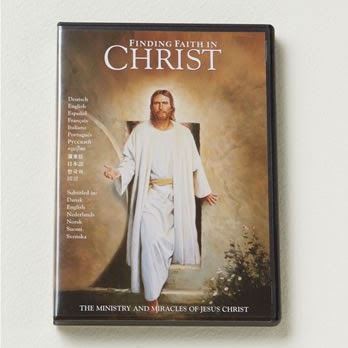 I'll have June help me place up the picture of Christ as I read the Easter story book. Then, we'll the movie. It's made more for adults, but I'm sure she'll watch some of it. Just having it on will bring the Easter spirit into our home. I'd like to keep this up every year. 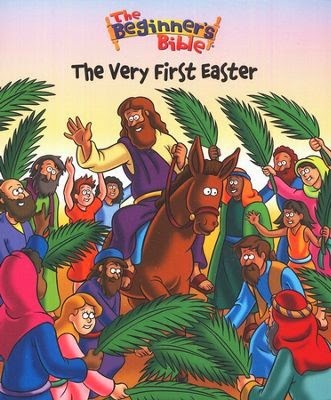 I love all the Easter traditions I grew up with. Egg hunts, the Easter Bunny, and celebrating spring are all wonderful traditions that my family already loves. And now the Resurrection egg hunt will be a new tradition that can help us focus on the reason for this joyous holiday. Great ideas for Easter lessons, Rachel. We missed having your family with us yesterday! Easter Dream is my favorite Easter video. Have you seen it? No, but I'll have to check it out. I love new Easter movies.